Boris Becker is a big name in tennis. He has been the best in the world, including winning six major singles tournaments. Now he is the latest of a lineup of stellar individuals to sign on as a brand ambassador for Partypoker. Becker is not only a tennis legend, he also has plenty of bragging rights in poker. In the WPT Five Star World Poker Classic, he won $40,855 for coming in 40th place. At the inaugural Devilfish Cup, he came in 13th and won £15,000, which comes to about $19,079 in U.S. dollars. 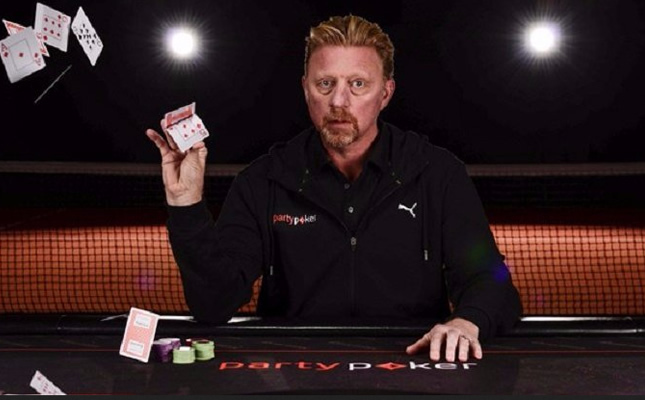 Becker expressed his excitement about his new association with partypoker. He said it’s not that complicated—his competitiveness on the tennis court is matched by his sense of sportsmanship at the poker table. He pointed out in a press release that poker is truly a game of perseverance and skill, much like the experience he has had on the tennis court. There truly are many elements of online poker that provide challenges. A diverse set of skills is required to become proficient at this website. Many professional poker players were able to climb to the highest stakes using free promotional money, which is one of many strategies that can be used to a player’s advantage. Another online site that provides popular online casino sites, the latest casino reviews, and bonuses that can keep you in the game is TheCasinoDB. This is an example of a site where safety is a priority. Staying safe online means checking for a green indicator on the left of the browser address bar, checking for gambling license logos, and looking at the policy for Responsible Gambling. These are among the qualities of top online gambling sites like partypoker that draw big-name sponsored pros and ambassadors. Another partypoker pro who recently signed on as a sponsored pro is Jan-Peter Jachtmann. He has racked up more than $1.64 million in live tournament winnings, much of which he won at Pot-Limit Omaha (PLO). Jachtmann also made a statement about partypoker saying he’s seen it grow in 2016 and it’s a pleasure for him to be part of the partypoker team.